The vision with this expremental project is to visualize ahead what a future car for apple could be. So many time "multiple discovery" seems to be more of a rule than an exception! Are we all just thinking the same or are we getting the ideas from the same source... this project will try a new conceptual design process that tries to control the discovery and be first. By logical conclusions technical feature analysis and gut feeling a vehicle will be created that shows before apple car is released what it will look like. 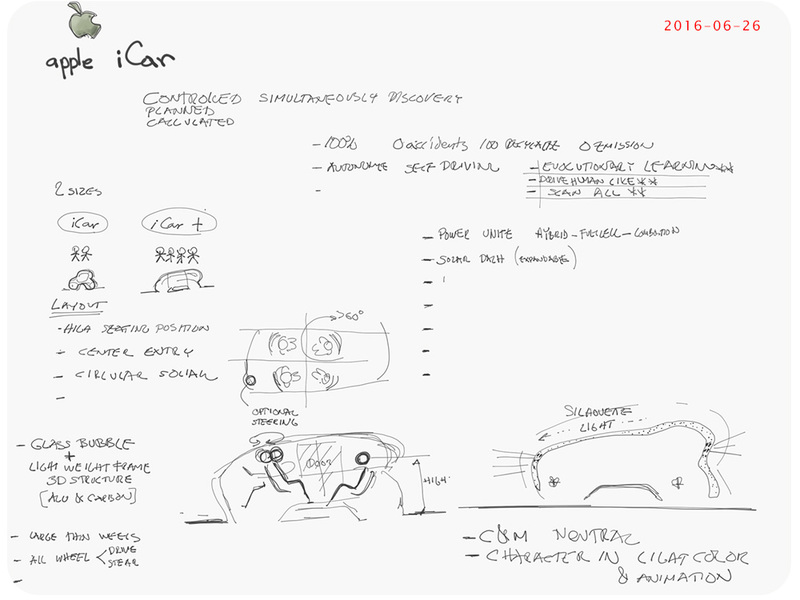 Apple car is for sure an interessting future product to apply this design process to, peoples expectations and imaginations of what a trendsetting company might do to be uniqe within a new field could fuel the discovery process. SPECIFICATION IDEAS . . . . . . . . . . . . . . . . . . . .